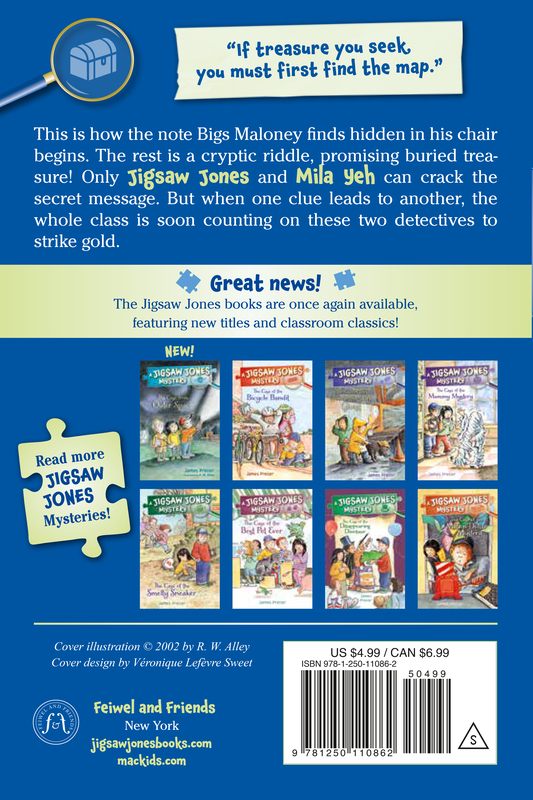 A funny thing about the newly re-published Jigsaw Jones books: I kind of like the back covers best of all. It’s nice to see all the new covers ganged up together. That great feeling of: there, we did it. I’m sometimes asked about my favorite Jigsaw Jones book. I don’t have a firm answer, but this title would definitely be in the running. Each book is different. 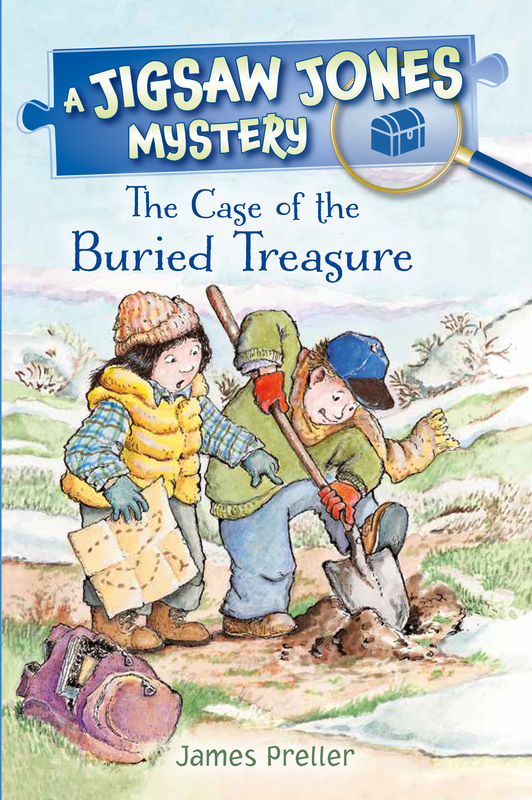 In this one, I like how the mystery unfolds as a chain of mini-mysteries to solve, sort of a “Da Vinci Code” for grades 1-3, and I’m happy with the ending, always glad when there’s a sweet moment at the conclusion, some kind of heart that lifts the story up to a better place. To me, that’s when I’m happiest with a book. I often aspire to that pang at the end. And, okay, this book also includes a few sly references to the New York Mets. This book is due out in November, I’m almost positive.